Applicants must submit a letter of intent. Included is the contact information for each current board member to encourage candidates to reach out if they have any question or inquires about the position. 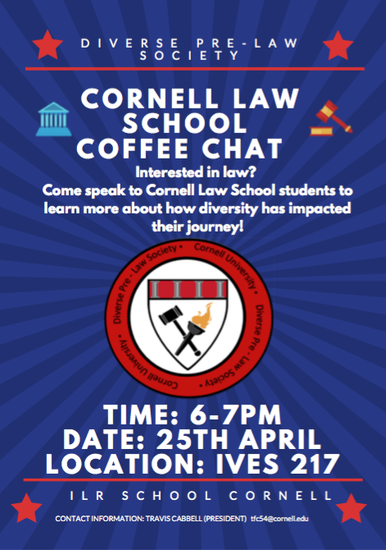 Founded in the Fall of 2003 at Cornell University, the Men of Color Council (MOCC) is a nonprofit organization for men of color who are dedicated to building a cohesive network and are taking strides towards developing themselves as preprofessionals. The objectives of the Men of Color Council include: empowering men via academic, leadership and professional development; assist with the recruitment, and advancement of men of color; lastly, identifying and cultivating the future leaders of tomorrow. 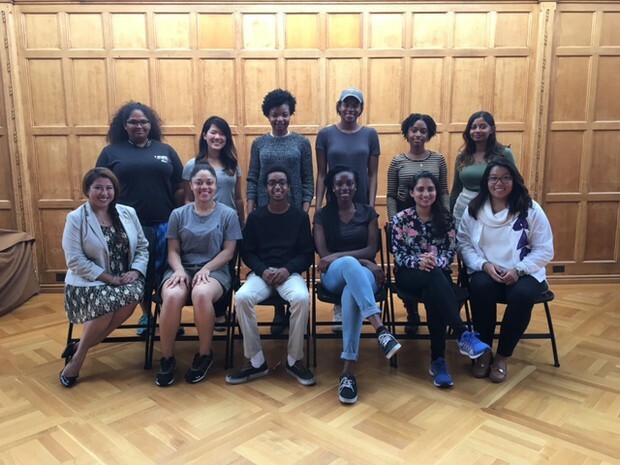 The council's reach extends far beyond Cornell's campus, as we annually host our Men of Color Conference, where students from Cornell's campus, as well as councilmen from other chapters, come together for a weekend of bonding and self-reflection. Currently, we are looking for the next generation of councilmen because we want our organization to keep growing. The vision of our organization is continually evolving and under the leadership of our next two Co-Presidents, Augustine Mudrak and Jari Watson, we plan to reach new heights. The application for Spring Recruitment 2017-18 is found here and is due by 12:00 pm on April 25th. If you have any questions, do not hesitate to contact themenofcolorcouncil@gmail.com. 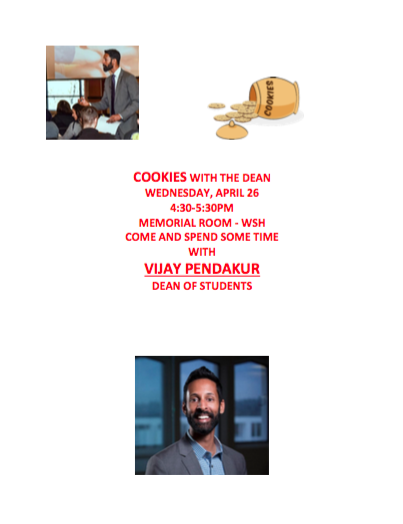 Vijay Pendakur, the Dean of Students, is hosting an event called “Cookies with the Dean” on April 26 at 4:30pmin the Memorial Room in Willard Straight Hall. Please help spread the word. 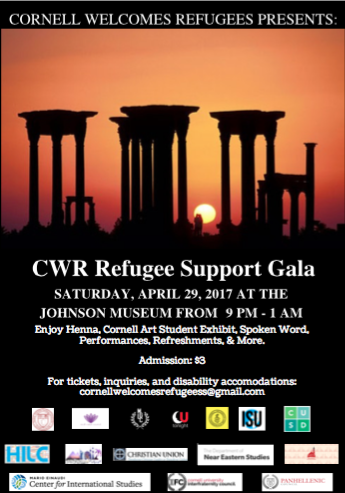 We hope to see you and your friends there! RICE Magazine is one of the only student run publications on campus which focuses exclusively on Asian and Asian American culture, life and politics. As the year winds down, we are looking for students who will join RICE's team for next year. On the whole, we are looking for driven individuals who are passionate about Asian culture and can work well in a team environment. 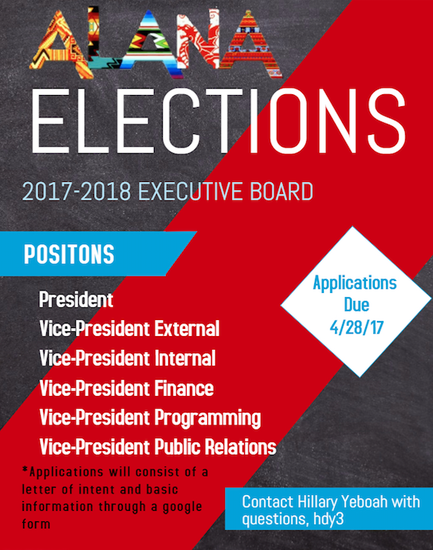 If you are interested in any of the E-board positions, please e-mail our President Abrahim Shah at ms2638@cornell.edu. President: Oversees the direction of the organization. Editor-in-Chief: Edits and reviews all written material, such as articles, posters, important emails, etc., for the organization. Managing Editor: Supervises the editing process and manages editing deadlines. 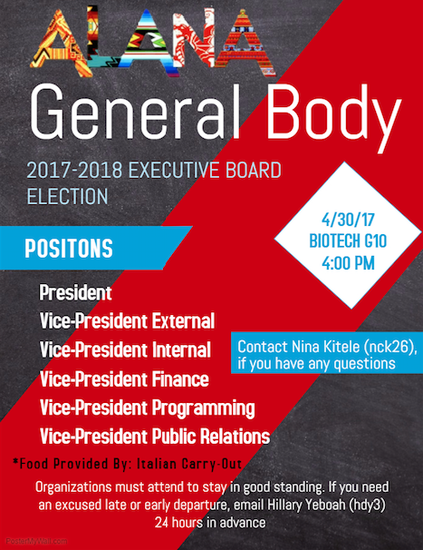 Thank you for applying to RICE's E-board, and we wish you good luck! 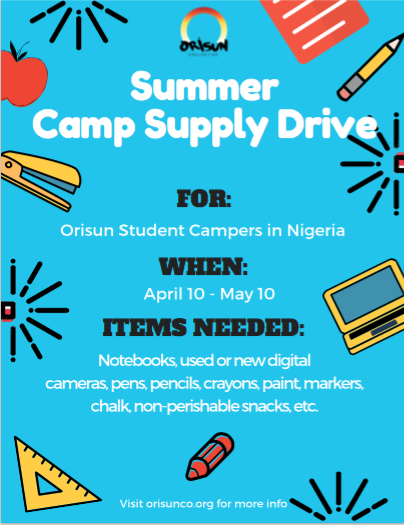 The nonprofit organization Orisun Collective is organizing a supply drive for their annual summer camp in Lagos, Nigeria for secondary school students. Donations will be collected for supplies such as notebooks, used or new digital cameras, pens, pencils, art supplies (crayons, paints, colored markers, chalk), and non perishable snacks (trail mix, granola bar, and crackers). They would really appreciate our support. There are donation boxes set up in Keeton and Ujamaa. Below, please find the information to remove yourself from ANY list serve on Cornell's campus. 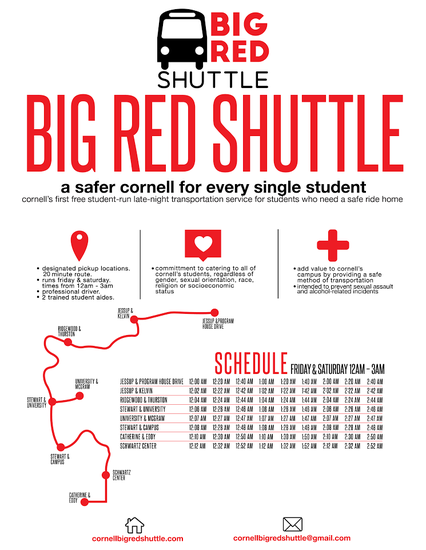 We are excited to present the Big Red Shuttle, Cornell's first free late-night transportation service for students who need a safe ride home. Initially, the Big Red Shuttle provided students with rides during exam periods. However, the need for additional means of late-night transportation has become clear. Now, the Big Red Shuttle is no longer an academic-only resource, but one that provides timely and free transportation to Cornell students everywhere in need of a safe ride home. Starting Friday, 10/14 , the Big Red Shuttle will run a 20-minute route every Friday and Saturday night from 12am-3am with a professional driver and two student aids trained by Cayuga's Watchers. To learn more, please see the poster below. Check out our website atwww.cornellbigredshuttle.com. Have questions? Feel free to drop us a note at cornellbigredshuttle@gmail.com.